This second edition of Grune and Jacobs' brilliant work presents new developments and discoveries that have been made in the field. 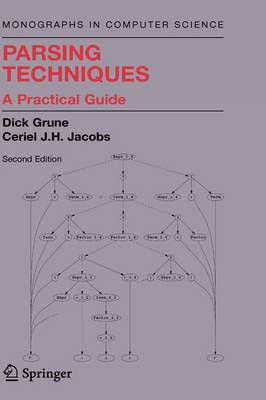 Parsing, also referred to as syntax analysis, has been and continues to be an essential part of computer science and linguistics. Parsing techniques have grown considerably in importance, both in computer science, ie. advanced compilers often use general CF parsers, and computational linguistics where such parsers are the only option. They are used in a variety of software products including Web browsers, interpreters in computer devices, and data compression programs; and they are used extensively in linguistics.